What Are the Benefits of Jute? Seems like bamboo gets all the glory in the sustainable fiber world, but we think it is time jute gets some glory.Jute, like bamboo, is a natural fiber that grows cleanly, quickly and can be woven into a durable material. 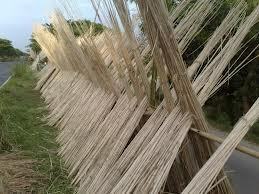 Jute is affordable and strong and I’ve researched this plant fiber and come up with 10 benefits of jute. Needs Very Little Water – As a natural plant fiber, jute can be grown and harvested over and over again with very little water needed. In this era of water conservation (think California in the United States alone and you will see the benefit), this is great for our planet. Less Need for Fertilizer, Herbicides and Pesticides – Jute can grow with very little need of chemical assistance in the form of fertilizer, herbicide or pesticide, so that means fewer chemicals are emptied into the soil. Grows Quickly – The jute growing season is about 100 days, so there is a quick turnover and a constant supply of more fiber. Clean the Air – Studies have shown that one hectare of jute plants can absorb up to 15 tons of carbon dioxide, a greenhouse gas, and release as much as 11 tons of oxygen during the jute growing season. Improves Soil Quality – Jute replenishes soil nutrients and reduces the risk of pests and disease so when crops are rotated after the jute has been harvested, future plants will be better off for it. Cost Effective – There is very little expense when it comes to growing jute since the plant does not require much in the way of fertilizers, pesticides and such, and a small area can turn out a lot of crop, so jute is typically a profitable crop and can be very cost effective. Biodegradable – As a natural fiber jute is biodegradable, so once it has served its purpose it can be composted or if it ends up in a landfill it will naturally breakdown with no ill effects. 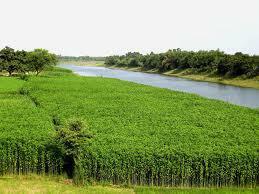 Reduces Plastic Pollution – Reusable shopping bags constructed from jute reduce the need of single-use plastic bags. Only a small percentage of disposable plastic bags are recycled; the vast majority of these single-use bags end up in landfills or as litter. Using a jute grocery bag does away with the need of disposable bags and the resulting pollution. Comfort – When woven into material, jute can be very comfortable. This is a nice benefit whether jute fabric is used for clothing or fashioned into a reusable bag. Recyclable – Jute can be recycled again and again, so new life can constantly be breathed into existing fibers. All of these benefits make jute a versatile, sustainable material that is strong, cost effective and good for the planet. If you are thinking of creating a custom, reusable bag for your brand, maybe it is time to consider jute. Create Custom Shopping Bags for Marketing or Retail Use at a Reduced Price! What Are The Options for Apartment Recycling? You might want to update number 7. When jute or any organic breaks down in a landfill it creates greenhouse gasses. One of the biggest pushes in California right now is banning all organics from landfills. This is a well known fact among enviros, so your inaccurate statement causes your article to lose credibility. On the other hand, you did not mention anything about eating jute, which is a very popular dish in many parts of the world. It is high in fiber and nutrition.